Who Would You Choose? | Just something I was thinking about . . . I would talk (seriously) to Ronnie Piland. And old friend of mine. And why did you spare mine? Hi Lance! After reading the story you wrote, I had a feeling Ronnie would be on your list. Thanks for reading & sharing! I would love to chat again, with my dad. Hi Rajiv! Thanks so much for reading & sharing! I think I would like to have a conversation with my mother, also. She died when I was 16 in 1995, and I feel she and I have missed out on so much as I have grown older and had so many life experiences. Hi Miss Lou! I am so lucky, as I had my mom until I was almost 37. She died on Mother’s Day in 1998 – which kind of puts a damper on Mother’s Day now – but I push through it since I have my own daughter & now granddaughters 🙂 Thanks for sharing & commenting! I think I’d like to have a chat with Jesus. Not cause I want to worship him but to see what he really had in mind when he did what he did and how badlky we’ve twisted it. It would be reassuring to hear it from his mouth. Thanks so much for reading & sharing!! Hitler! I would sit down with that guy, and ask him why are you so nuts, and let him talk for hours on end to get into his psyche. Then I´d kill him back again. Always enjoy hearing from you!! An hour would be enough for a full psychoanalysis of the man. Then I still get to kill him if I´m not getting what I want after 1 minute. So it´s a win situation for me. Gator Woman – Thanks so much for reading & sharing! Gandhi would be a fascinating choice! 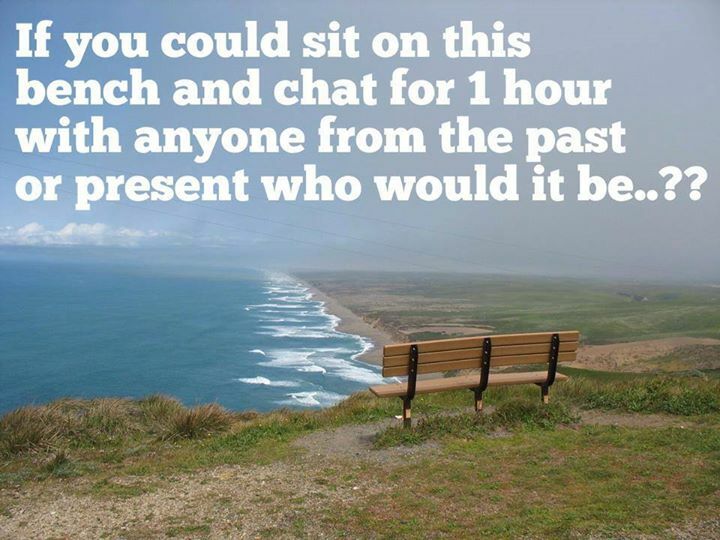 I would also have to say my mother who also passed on Mother’s Day 1998! Due to personal circumstances caused by me I was unable to spend any time with her during the last year of her life. But I know that she was waiting to hear from me on that Mother’s Day that she passed away only because I learned she passed not even 30 minutes after I called down to wish her happy mother’s day and tell her that her baby in San Antonio loved her! I did not get to speak to her but asked the nurse to relay the message for me. I would want to tell her how much I truly loved and how sorry I am that I was not a better son. I truly believed that due to my own personal health issue that I would wind up dying at my mother’s home with her by my side. God had other plans for me and I would want to let her know that I am no longer angry that she left me when she was at such a young age. Thanks for reading and sharing freidengl! I’m sorry about your 1998 Mother’s Day . . . I can honestly say I understand . . . 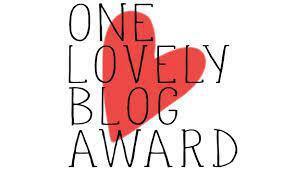 I have nominated you for the One Lovely Blog Award. Please see link for details. Thanks so much for the nomination, Monika!! I am so stoked & honored 🙂 It means a lot that others are interested in, get a laugh or enjoyment from, or find meaning or inspiration in my musings. I’m glad you have enjoyed my posts!